Determined to keep the Sabbath and avoid bloodshed, a World War II soldier takes a hard stand for his convictions—as an officer in Hitler’s army. A young man, caught up in the horror and calamity of the Second World War, finds himself forced to choose between his Sabbatarian and pacifist convictions and the routine violence of military obligations. Unwilling to participate in violence or to compromise his observance of the seventh-day Sabbath, the soldier relies on faith to carry him through the war. He experiences the miracles of God’s divine protection, enabling him to honor the Sabbath and saving him from bloodshed. Along the way, he saves many lives. If you are following Hollywood at all, you will quickly identify this story as the plot to The Medic: Miracle on Hacksaw Ridge, a book that has recently been released as a major motion picture (2016). 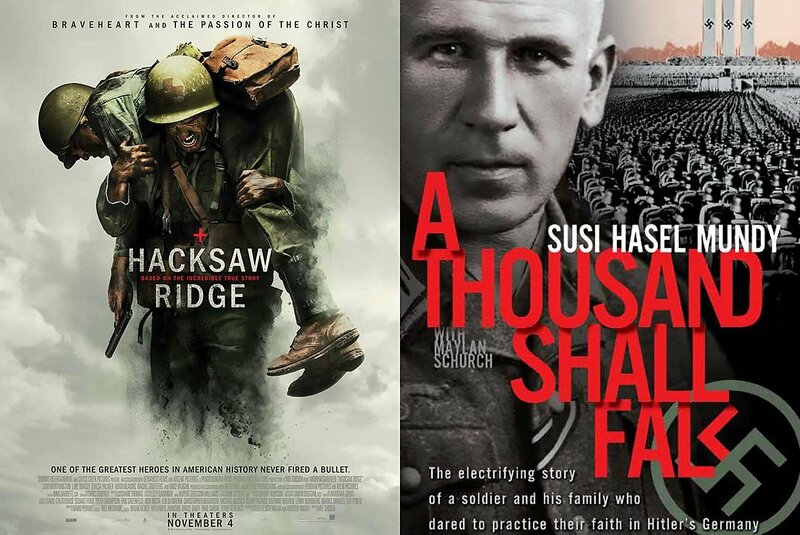 Most people don’t know that this true story is remarkably similar to the experience of Franz Hasel, a Sabbatarian, pacifist German man whose story is told in the book A Thousand Shall Fall: The Electrifying Story of a Soldier and His Family Who Dared to Practice Their Faith in Hitler’s Germany. Hasel was drafted into Hitler’s elite troops in the German army’s corps of engineers and forced to leave his family behind to build bridges on the front lines. Just as Desmond Doss, the Sabbatarian hero of Hacksaw Ridge refused to carry a firearm, Franz Hasel secretly discarded his sidearm at the first opportunity and replaced it with a piece of wood, shaped and painted like a gun, which he kept holstered until the war’s end. Both Hasel and Doss suffered immensely as a result of their refusal to compromise their standards and religious convictions. Despite continuously risking their lives, both men made it through the war alive, saving the lives of many others along the way. Doss performed heroically as a medic under heavy fire, risking his life for the sake of his wounded comrades. Hasel risked his life to warn Jews about the advance of the German army and the accompanying death squads. The amazing parallels between these two stories reveal God’s hand at work and leave the reader feeling inspired. When I saw how much Hasel and Doss were willing to risk for the sake of their convictions, I felt proud also to be Sabbatarian. Keeping the Sabbath comes at a cost. The bravery of both these men, their commitment to their values, and their dedication to Sabbath observance should inspire us today in our walks of faith. I recommend both action-packed books for great Sabbath reading and inspiration.